Conveniently located next to one of Gatlinburg's most elegant hotels, the Clarion, this gallery upholds our standard of excellence. 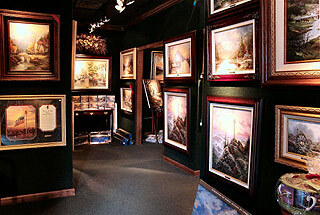 Staffed with some of our best Art Consultants, patrons of the Gatlinburg Gallery are never at a lack of service or information. 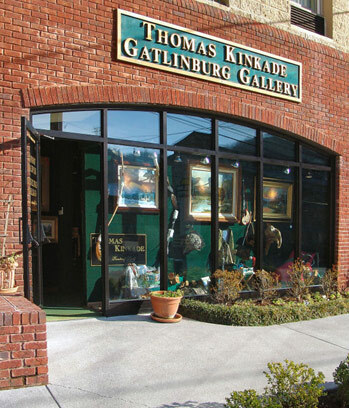 While shopping in Gatlinburg, you would be doing yourself a favor by stopping in to see our Gatlinburg Gallery next to the Clarion Hotel. From Atlanta, GA: Go through Cherokee, NC, take #441 North through the mountains to downtown Gatlinburg. You will see The Clarion Inn & Suites on the right, we are located downstairs in the Clarion Hotel Building. We are on the main parkway, on 441N. From Interstate 40 West: Take Dollywood/Pigeon Forge exit - turn right at traffic light, (Route #66), turns into #441, stay on this through Sevierville, Pigeon Forge, and into downtown Gatlinburg. Continue up Parkway, will see The Clarion Inn & Suites on the left. We are located downstairs in the Clarion Hotel Building. We are on the main parkway, on 441S. From Asheville: Right onto Foothills Parkway, left onto Hwy 321. This Hwy 321 will make a sharp right onto #321 that takes you to downtown Gatlinburg. Turn left onto 441 South, up the parkway, will see Clarion Inn & Suites on the left. We are located downstairs in the The Clarion Hotel Building. We are on the main parkway, on 441S.